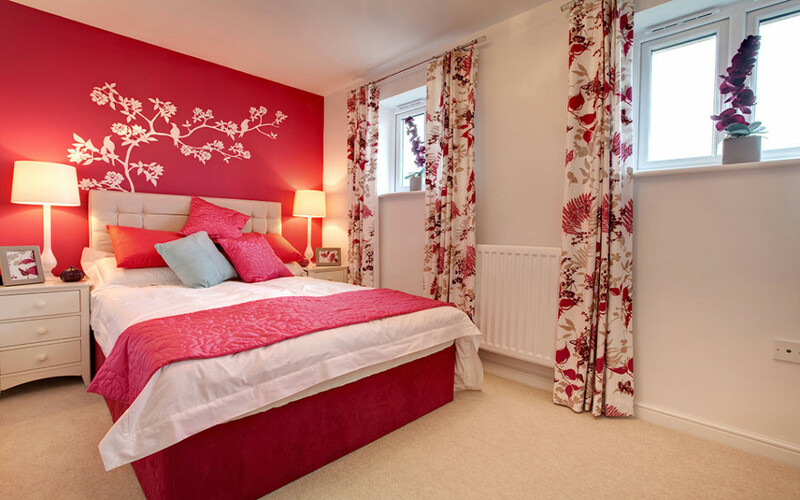 The bedroom wall colour you choose will set the mood for your sleep, and invigorate your day in the morning. We all want our bedroom walls to embody our inner personality to a certain level. 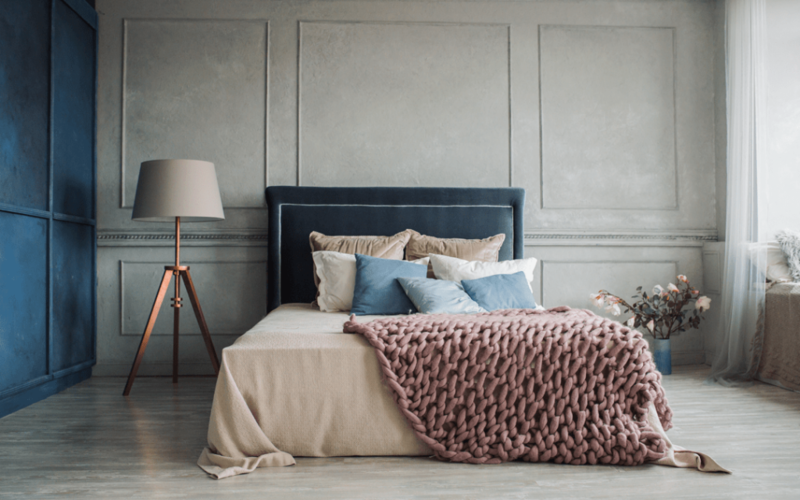 With a varied choice of bedroom paint colour ideas available online, choosing the right colour for your bedroom is a delicate task. Here we see 10 best trending bedroom paint colours that should inspire you in 2019. Green always reflects nature and prosperity, painting your bedroom walls with green will give you an outdoorsy flavour even in your petite bedroom. Green epitomizes growth and freshness and having green as the first sight is what you need to kick start your day. 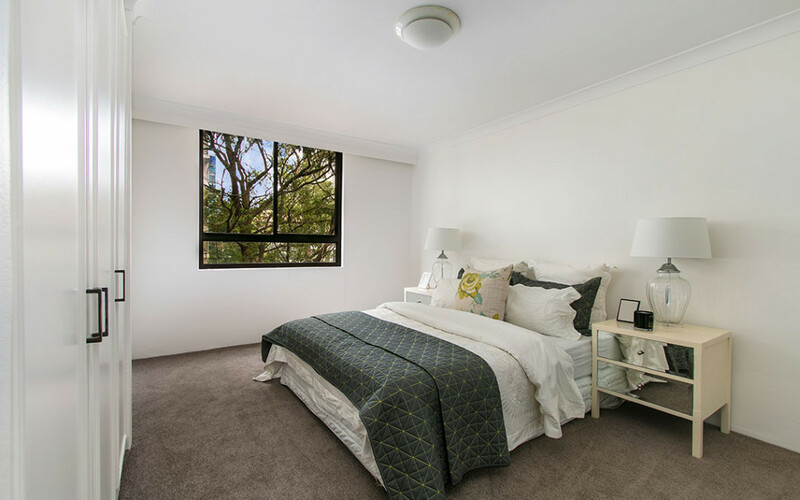 White may not be the go-to colour for bedroom walls as it always infuses a fear of dirt. But using white in your bedroom walls is one of the best bedroom colour ideas. White symbolizes purity and it propagates a serene aura to your bedroom. White also makes your cosy bedroom look more spacious and simple. Red mostly is associated with violence and aggression, thereupon it is not largely fancied for your bedroom walls. However, there is also another side for red which provides energy and motivation. So, a pale red in your bedroom wall gives a vibrant feel to your bedroom and also gives a boost and motivation to start your day. Red also look wise adds an additional glam factor which no other colour can give. 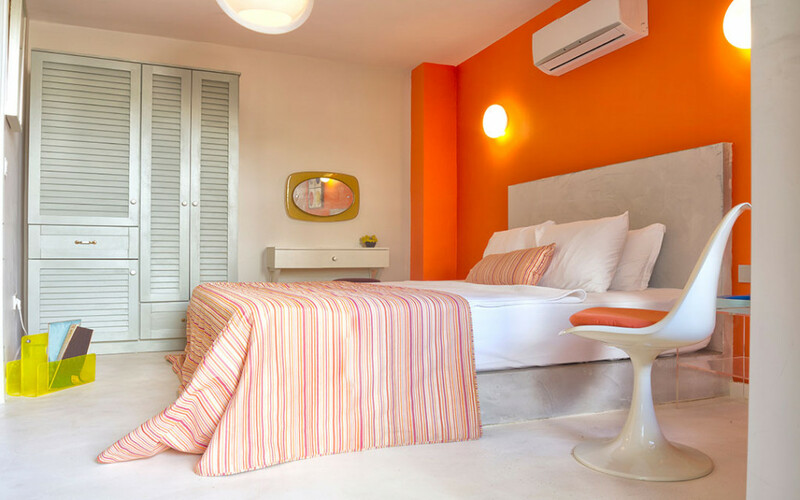 Orange is the colour of happiness and orange in your bedroom will spread positive energy than any other colour. It spreads the mood of fun and liveliness all over your bedroom. 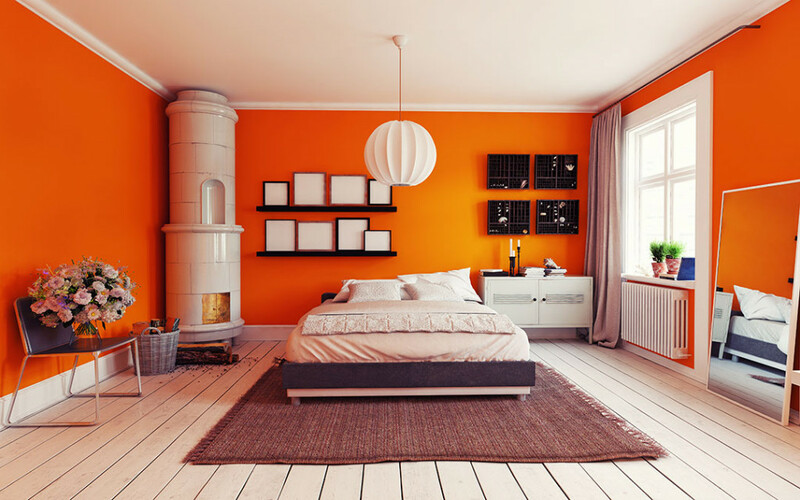 Orange also gives a flamboyant look to your bedroom which will make many eyes turn. 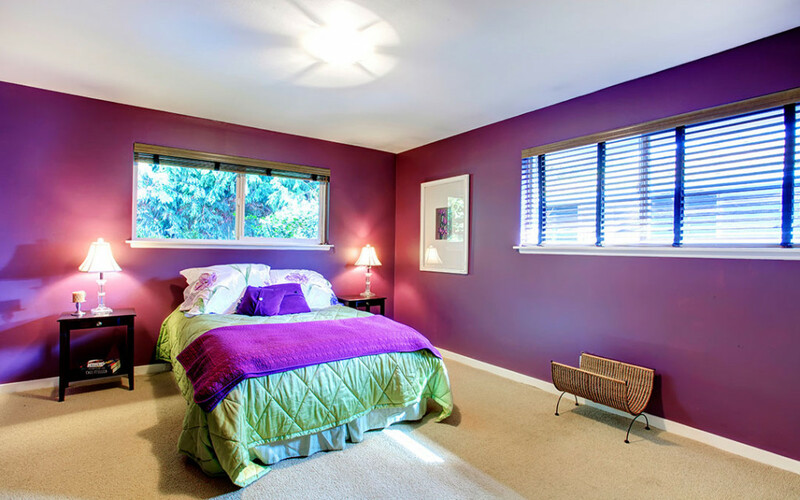 Purple is the combination of hot red and cool blue and adding a small touch of purple to your bedroom walls can give it a sophisticated look. It also gives the aesthetics of majesty and luxury to your bedroom. Adding black to your bedroom does what a black tie does to an event. Even though black used separately calls for caution, mystery and darkness but when blended with other colours it gives your bedroom an elegant look and royal appeal. Black also makes your bedroom look cosier than it actually is so that you can be more personal and connected to your family. 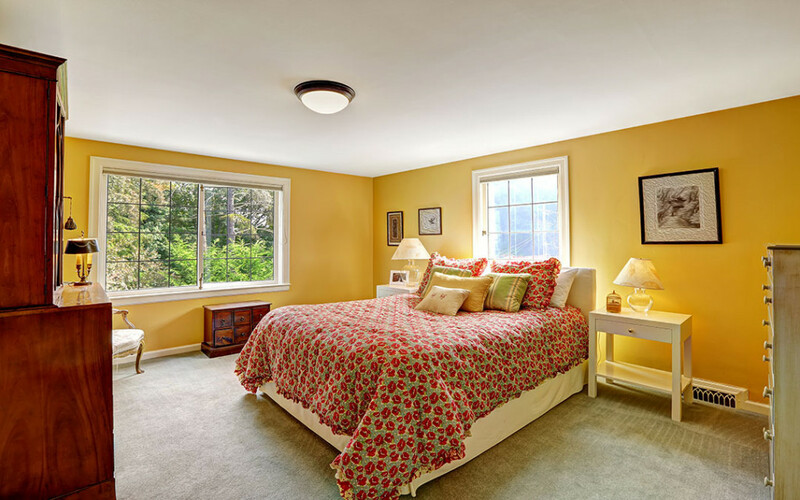 Yellow which represents the sun painted in your bedroom will give you a sense of warmth and spreads light-heartedness and a cheerful atmosphere to your bedroom. Yellow used heavily, might not be easy on your eyes, rather a sombre yellow would make a great colour for your bedroom walls. Umber is a colour inclined towards brown with a subtle orange undertone. 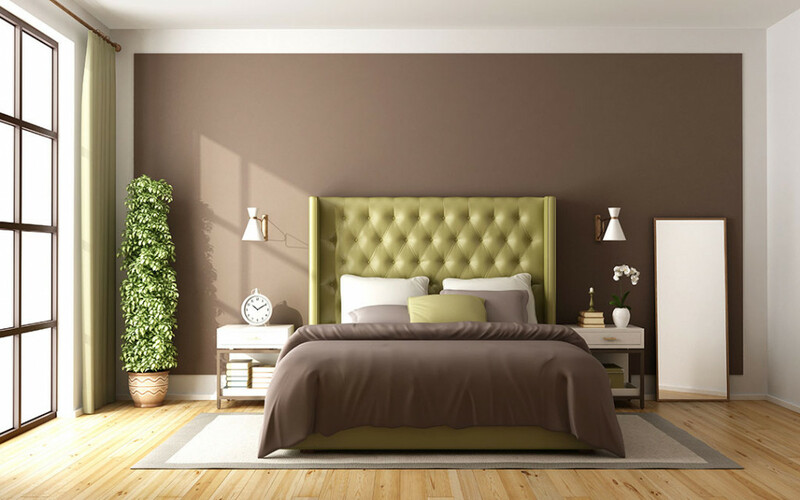 This makes Umber the best bedroom paint colour, as it makes your bedroom space warm and comfortable. 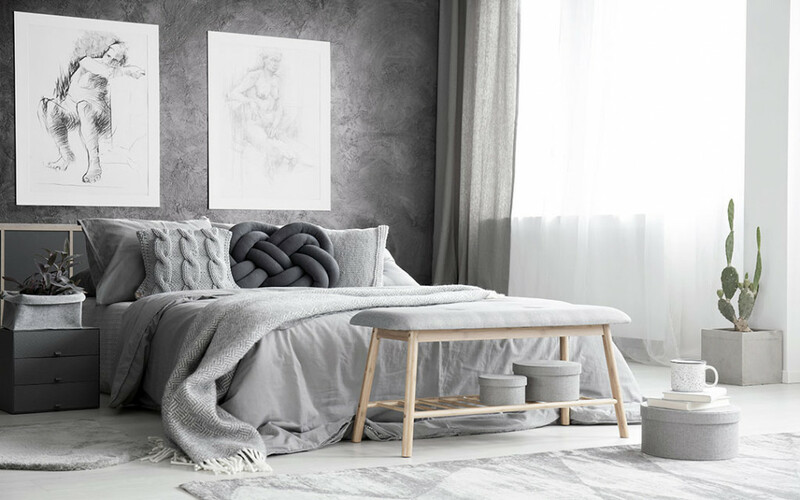 For a calm and sophisticated bedroom, you can’t go wrong with grey. It is one of the best bedroom colours and whether you choose a subtle off-white shade or rich charcoal, the hue serves as neutral and accentuates items like art or colourful bedding. Nothing matches the inspiration of nature; woodland shades are one of the best inspirations from nature. 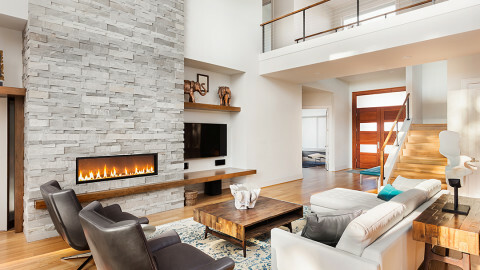 Its natural colour scheme produces a calm and peaceful vibe. It is considered as the best bedroom paint colour idea, as it can be made sophisticated, elegant, or rustic using textiles and accessories.